I had a great time attending the 2016 Speech-Language-Hearing Association of Virginia (SHAV) Conference in Chantilly, Virginia. 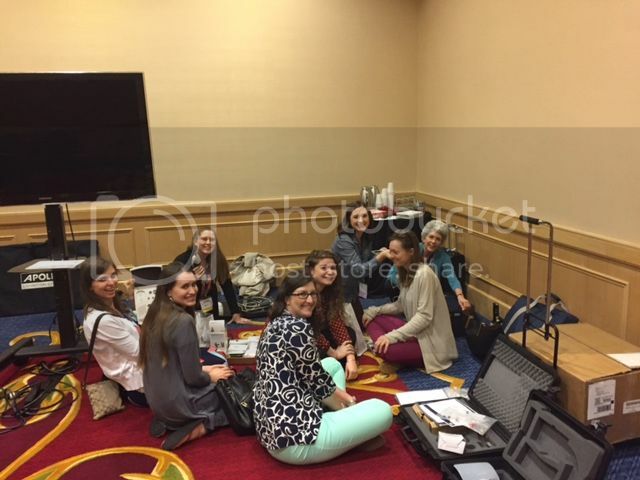 I attended sessions on voice therapy, AAC, autism, core vocabulary, and how to become licensed as a SLP. I had the opportunity to help Dr. Aguilar (audiologist at Longwood University) with her session on audiology review. Through my graduate assistantship, Longwood is partnered with the VDDHH to provide assistive listening devices to qualified applicants. These devices can either be FREE or at a low cost. I love informing people about the different devices available, and I heard some great success stories about many of the devices I was showing! This entry was posted by Kayla Stramat on April 12, 2016 at 2:42 pm, and is filed under 2015-2016, Communication Sciences & Disorders. Follow any responses to this post through RSS 2.0. Both comments and pings are currently closed.